Today’s post is sponsored by Viva®. I have received free product and compensation to help me learn more about Viva® Vantage® products to facilitate the creation of this post. All opinions within the post are my own. My family uses a lot of paper towels. They are so practical for a number of everyday uses well beyond drying hands or wiping up messes. I recently attended a special event to learn more about Viva® Vantage® paper towels and their 7-Day Switch Up campaign. They are so excited about their V-Flex™ Weave technology and the added stretch, strength, and absorbency it creates, they’re convinced that if you switch up your paper towels and give Viva® Vantage® a try, you’ll be pleased with the results. After using the Viva® brand myself, I agree. It’s no wonder it was named a 2015 Product of the Year. 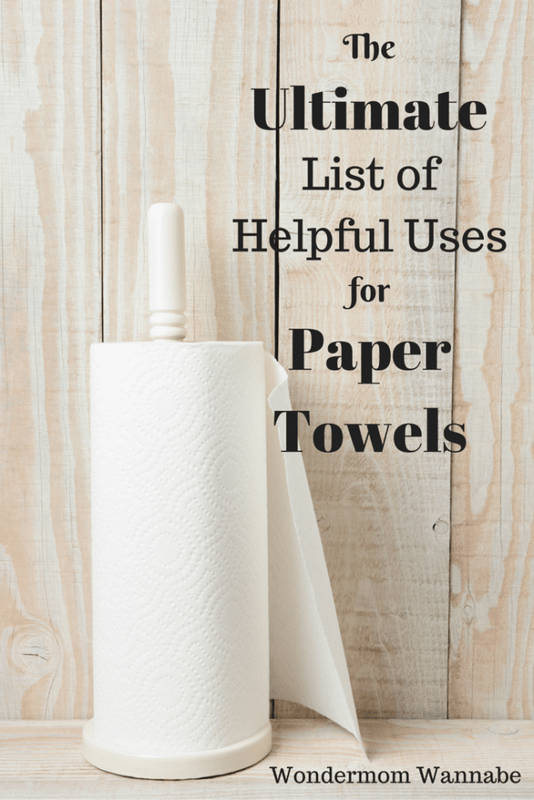 To help you explore all the ways a high-quality paper towel can improve your life, I’ve created the ultimate list of helpful uses for paper towels. 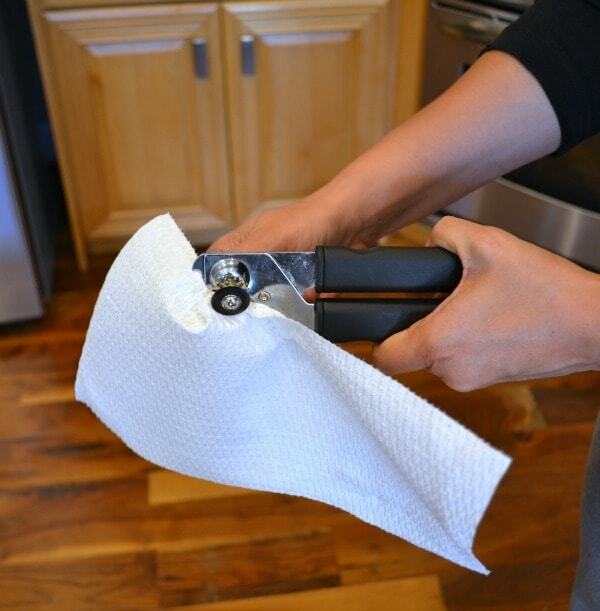 You’re probably already using paper towels in many of these ways, but hopefully you’ll discover some new ideas for making your daily life easier. A moist paper towel is the best way to clean mushrooms since it’s the only way to remove all the dirt without water logging the mushrooms and ruining their flavor. The revolutionary V-Flex­™ Weave technology in Viva® Vantage® is so strong, you can even wash berries and grapes. 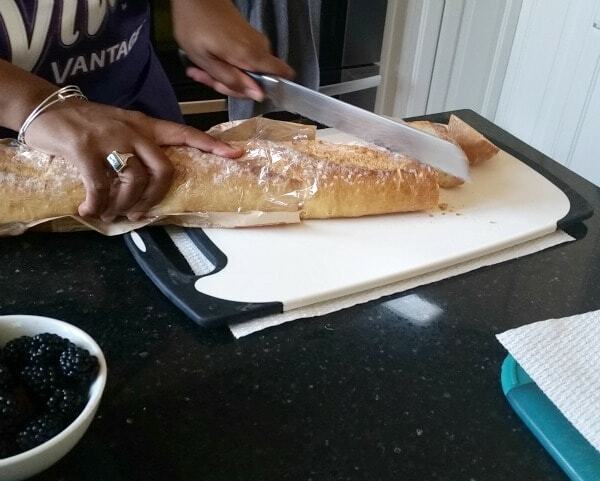 Make food prep safer by placing your cutting board on a damp paper towel. It will keep the board from slipping while you are slicing and dicing. Likewise, you can save over 3 cents per wipe by making your own disinfecting wipes with paper towels. Because I’m a red wine drinker, I always forget to chill white wine before I have company over. The fastest way to chill wine isn’t burying it in ice. Instead, wrap the bottle in a damp paper towel and put it in the freezer. I hope you found some helpful ideas to make your busy life a little easier. Which ones are you most excited to try during the 7-Day Switch Up? Don’t forget to print your $1 off coupon when you take the challenge! Special thanks to Viva® for sponsoring today’s post. My mom read years ago I believe Dear Eloise, not sure. Use paper towels to wipe outTupperware that had pasta sauce stored in it before washing with soap and water. It will get rid of the red stain. I cant live without paper towels in my house. I use them or almost everything, and the Viva brand is my favorite. Thank you for sharing this post with us, now I know I’m not the only paper towel fan. This is so helpful, I did not so many of these! I have bookmarked it for ez access! Thanks! 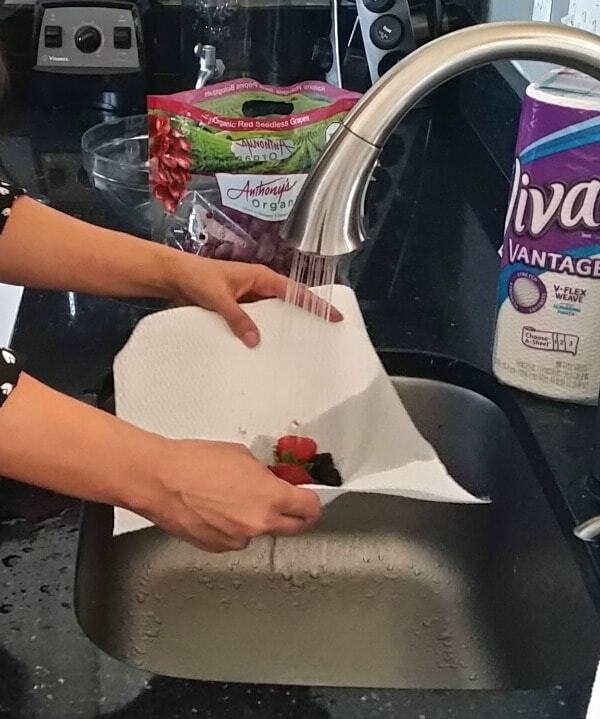 I have to admit that I didn’t know there were so many great ways to use a paper towel! You listed ideas that I would have never thought about. I tried Viva® Vantage® and I really enjoyed them – I didn’t think I would, but I was happy to be wrong. I now have a new favorite paper towel! Paper towels are so handy, I’m going to try the cutting board and can opener ideas tomorrow! I never thought of using it to soften brown sugar! Lot’s of cool tips in the post. Definitely plenty that I’ve never thought of before. Who knew paper towels were so versatile? 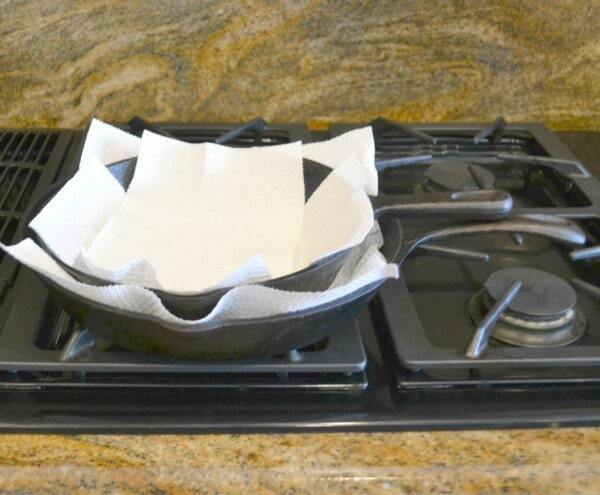 These are all great uses for Viva paper towels . I will have to try the cutting board trick. I use and love Viva paper towels! I really had no idea there were so many uses though. What a great list you have put together! I want to try out making my own baby wipes. I love Viva too! They are so much more durable than other paper towels I’ve used. Thanks for stopping by! You’ve given me so many new (to me) ideas for how to use paper towels. I’m excited about using them to remove corn silk (I can’t stand that task and often don’t buy fresh corn just for that reason even though we all love to eat fresh corn in the summer). Corn silk is my nemesis–I’m trying this tip! And, I had no idea that you could rescue hardened brown sugar. Thanks for this useful info! I’m glad you found some useful tips. The thing I love about these is that I ALWAYS have paper towels. OMGee, I so needed to know this about the tip for softening brown sugar. I struggle with this when baking. I had no idea this would work but it does! Thanks for the tip. I’m glad you found something helpful in the list. I love the brown sugar trick. It’s a real life saver when you’re in the middle of baking and the brown sugar has gone hard! This is awesome! I NEEDED to know this tip for removing corn silk! I know what you mean! I can’t tell you how many times I wasted so much time trying to pull each strand off of an ear of corn!